Logile’s Training Ecosystem offers enhanced training capabilities for retail operations-oriented training courses. Our highly qualified training instructors reinforce Labor Management techniques, tools and best practices for retail organizations to optimize labor productivity and enhance customer service. The courses are currently available in either open sessions hosted by Logile, or in closed sessions that can be specifically tailored to one organization at a site they choose. We are pleased to make these sessions available to our existing customers as well as other retailers to train their teams or refresh their approaches. We help you find and drive new opportunities for improvements through applied industrial engineering and smart labor management techniques. Whether you use our software solutions or someone else’s, Logile’s labor management and productivity training can help you drive retail benefits and lay the groundwork for future improvements. Preferred class size for Logile’s training courses is 4 to 12 participants. Retailers ranging from small to large chains are striving to be more proactive in improving their practices and optimizing their labor resources. We see an opportunity to help organizations effectively train their people to operationalize labor standards and use labor management systems to drive operational efficiency, improve customer satisfaction, and build top-line sales. Retailers can make strides with applied industrial engineering, effective workforce planning, and operations management. These are services we provide, but additionally, retailers want to build their own capacity to sustain these capabilities internally—and that takes training. This is the training our courses aim to address. 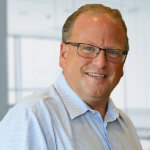 Brian MonacoVice President - Retail Services, Logile Inc.
Logile currently offers six training courses for retail businesses. Click here to view and browse our courses. We routinely conduct our training programs at various locations across the U.S. for the benefit of not only own own retail customers, but also personnel working at other retail establishments. Prior registration is required to attend.